Valencia Therapist: Jan Click - Therapist 91355. 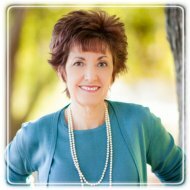 Send A Message To Jan.
How I Can Help Whatever challenges your are facing in your life, as a therapist, I'd like to help. Through powerful and effective counseling approaches such as EMDR (Eye Movement Desensitization and Reprocessing) and the Trauma Resiliency Model, we can work together to help you recover from these issues and take back your life. As a therapist for over 32 years, I have helped people recover from difficult and troubling problems including depression, anxiety, grief and loss, phobias, low self esteem, and post traumatic stress disorder (PTSD). In my therapy practice in the Santa Clarita Valley, I use cutting-edge counseling treatments that help create happiness and peace of mind. One of the treatments that I utilize is EMDR (Eye Movement Desensitization and Reprocessing). EMDR is a powerful evidenced based practice that can change your life. EMDR has been recognized as an effective treatment by numerous organizations including the American Psychiatric Association and Department of Defense. EMDR is a comprehensive, integrative psychotherapy approach that can be used to treat trauma as well as many other problems such as anxiety, depression and phobias. I have witnessed with awe and inspiration the healing that takes place with EMDR treatment. EMDR can help you move beyond the distressing events in your past to live fully in the present. I also utilize a model called the Trauma Resiliency Model (TRM). This is a biologically based model for healing trauma and enable you to better manage day to day activites. TRM works to build resiliency and restore balance to the body and mind after upsetting or traumatic events. TRM can help to restore balance to your nervous system in a gentle way. TRM has been designed both as a trauma reprocessing treatment model as well as a self-care model. The TRM skills can be used on a daily basis as a wellness practice. The skills can be easily learned and taught to family members and friends. When you learn and practice the TRM skills, you can start to feel a greater sense of personal mastery and well-being. My goal is to create a compassionate, caring, and nurturing environment in which you feel safe and comfortable as you move through the therapeutic process and heal from past hurts and troubling events. Please call if you have any questions or would like to schedule a FREE telephone consultation.